The moment Holden picked up his ukulele and stuck a harmonica in his mouth, we knew we had a tiny Bob Dylan on our hands. Naturally, the next logical step was to convert our building lounge into a rock club for his 2nd birthday party! 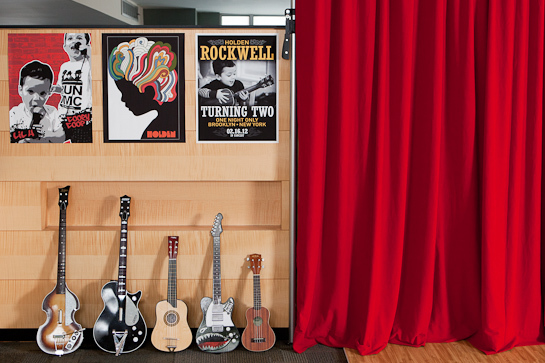 Holden’s favorite music teacher, John Carlin of The Kids Music Underground, was coming to perform so we created a kid-friendly stage area complete with theater curtain, custom music-themed posters (including our own version of Milton Glaser’s famous Dylan illustration), prop guitars and a Fender amp. Club-goers were given “admit one, age two” wristbands upon entering the party, and VIP family wore laminated all-access passes. 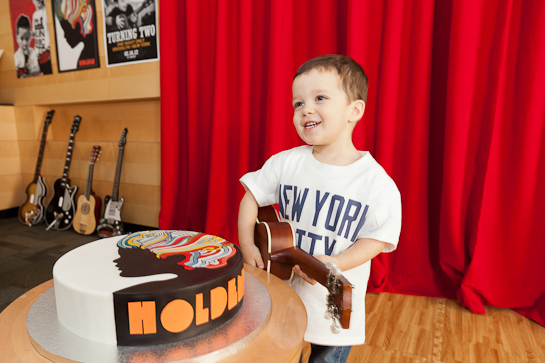 The Dylan poster art appeared again on yet another cake crafted by the talented crew at Betty Bakery, and Holden’s lil rockstar buddies left the show with branded harmonicas as favors. 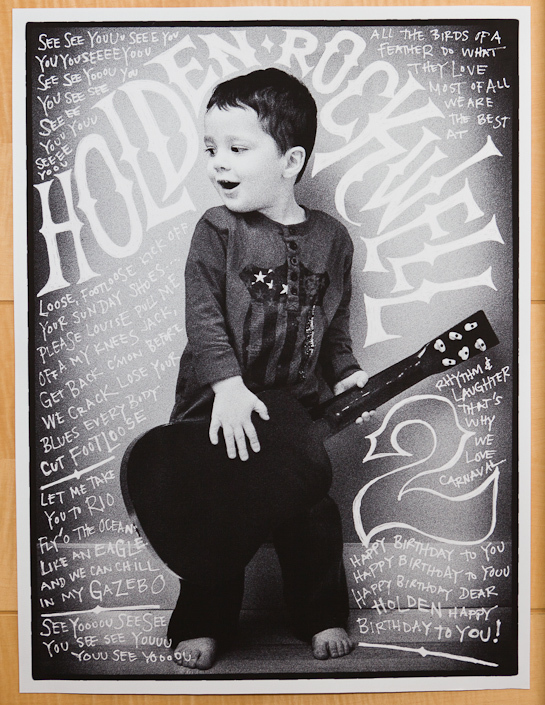 Special thank you to Apartment Therapy for naming Holden’s rockstar party one of the best of 2012! © 2012 —twoplus.us. All Rights Reserved.